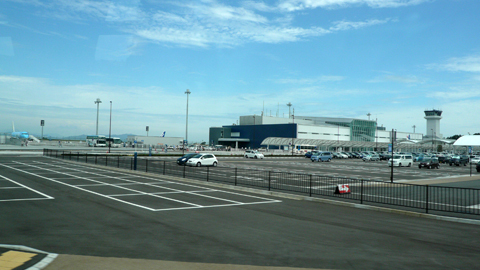 when one is in a hurry simply do NOT have time to make early reservations, which is just what you need when trying to take the /easy/ flight from Seoul to Tokyo via Kimpo or Gimpo Airport to Haneda Airport – both although originally built before as an international hub, now outdated and taking domestic flights only BUT with a few exceptions to a few nearby overseas cities . also both are within an hour or even 30 minutes from their serving Capital which makes it a prime attraction compared to their Millennium counterparts which, although mammoth to be heralded by Global jetsets as THE most advanced airport in the World .. TWO hours drive into town is simple a waste even in hard times of IMF . 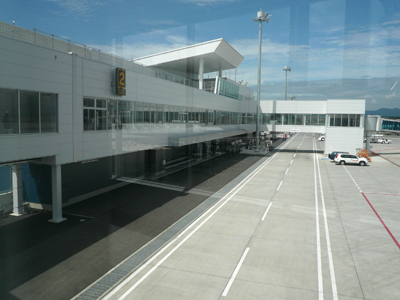 and as Japan going through hard times as much as South Korea to lure more visitors OR to make-believe of further development have opened up several more airports in mid-nation around the vicinity of Tokyo, although NOT close by any standards . 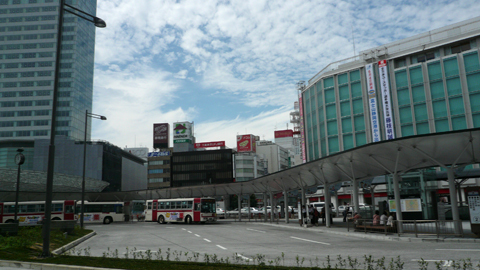 still, unless from Nagoya down South OR up North Sendai which is both an hour away by Japan’s early bullet train Shinkansen, you have to opt from any of these few stray airports to get into Tokyo for business or even pleasure . first they shout “inaka” meaning rural, although it still may be a bigger town for those coming from still afar . 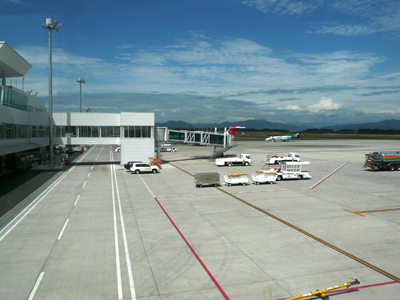 ofcourse city-wise Shizuoka is larger and more urban than ibaraki but airport-wise Shizuoka Airport is far remote than ibaraki Airport to the nearest larger town or even city . 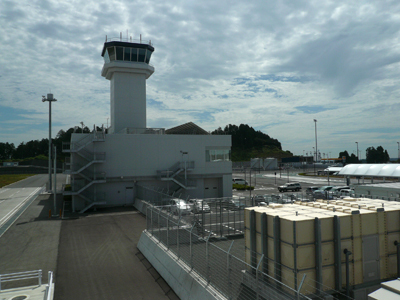 then IF you are NOT destined for Tokyo and interested in the surounding itself again, Shizuoka Airport takes the hand because of natural hot spring resorts in the immediate area – and the Godly Mount Fuji is near by ! no, there simple ain’t enough information out there for an outsider to find their way into Shizuoka Airport and ibaraki Airport alike . so I’ll let you in a secret : I read Japanese, yawn ..
it is interesting how both destinating cities announce how grand the opening is going to be, only to see one square building upon arrival . and expect no more, perhaps with ONE convenience store inside . after you land, as you taxi into the main and only terminal you realize this ain’t JFK international . not even on-lookers atop on railing atop buildings as in ibaraki, for this is quite out-of town area relatives don’t have NOT come this far . 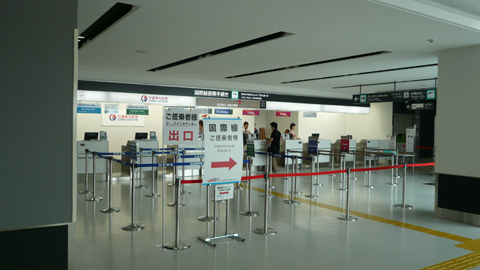 at Passport Check you will be ushered in a separate row for strangers for the rest are Japanese . but once at Customs they will inquire curiously WHY you have come here OR taken this route into Tokyo AND suspiciously try to check your luggage . 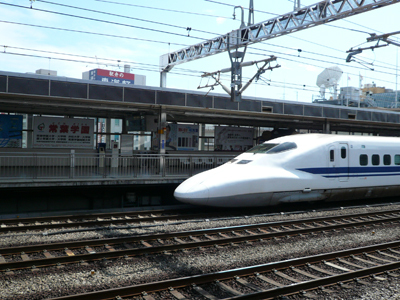 thus /really/ : if you study the bus AND Shinkansen bullet train schedule well and plan ahead, it will NOT be as frustrating as most foreigner would initially ! if you know you don’t have much time to catch the bus at the airport : don’t waste time looking for the bus stop . just ask at the information counter directly in front of the gate you exit Customs and they, knowing rather long time intervals between buses, will even run out to herald the bus driver for you ! and oh the shuttle bus is NOT free, so pay Y1000 at the counter . 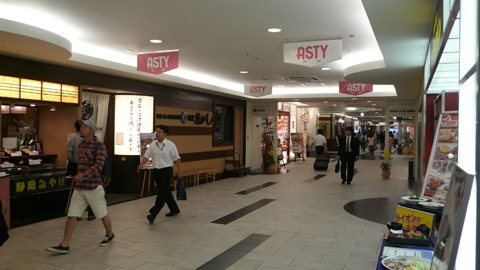 go to the ticket counter on the first floor and ask for the type of ticket AND seat location you prefer . 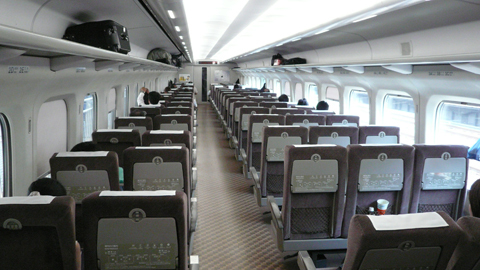 in the same Tokaido Line stretching from Shin-Osaka to Tokyo there are three types of trains Nozomi / Hikari / Kodama, out of which ‘Nozomi’ is the fastest Express but does NOT stop at Shizuoka but Hikari does – so you would want to take this one . and colored in BLUE is the faster ‘Hikari’ train type passing every hour . 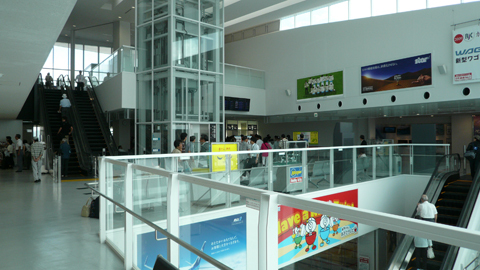 a basic linear no-frills check-in counter . 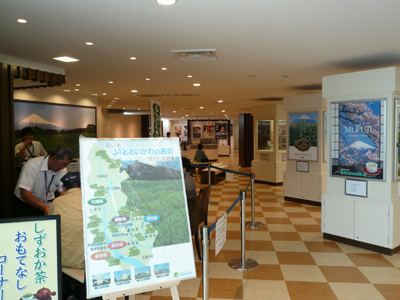 ofcourse a full corner to promote the regional Shizuoka-Ken . this is about the whole layout of the place and you won’t have to spend more than twenty minutes here . 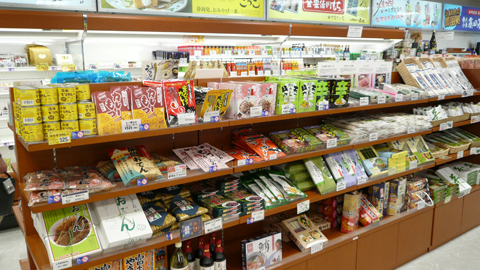 and it would be wise to purchase regional munchies instead of the nowhere-to-be-found latest Sony NoteBook . 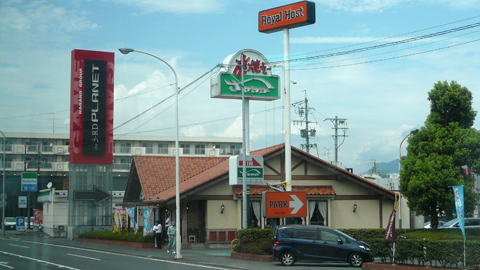 view out from the bus is a rural area almost like the outskirts of California, complete with random diners um, Japanese-style in their local Western eatery chain of Royal Host . 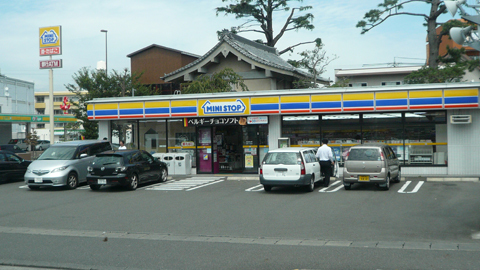 and the Japanese and even Korean counterpart of 7-11 Seven Eleven . 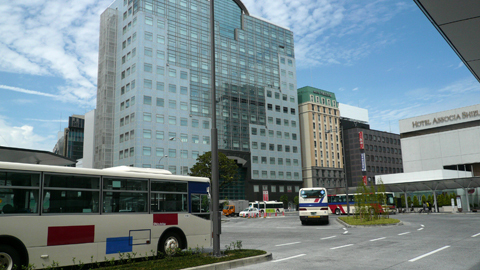 after a full-hour’s drive, arrived and looking out from Shizuoka Station WOW : buildings !